Clear stamps are a new and innovative product: you can see through them - enabling you to see exactly where you are stamping, and they're flexible - ensuring a perfect print every time on most surfaces. 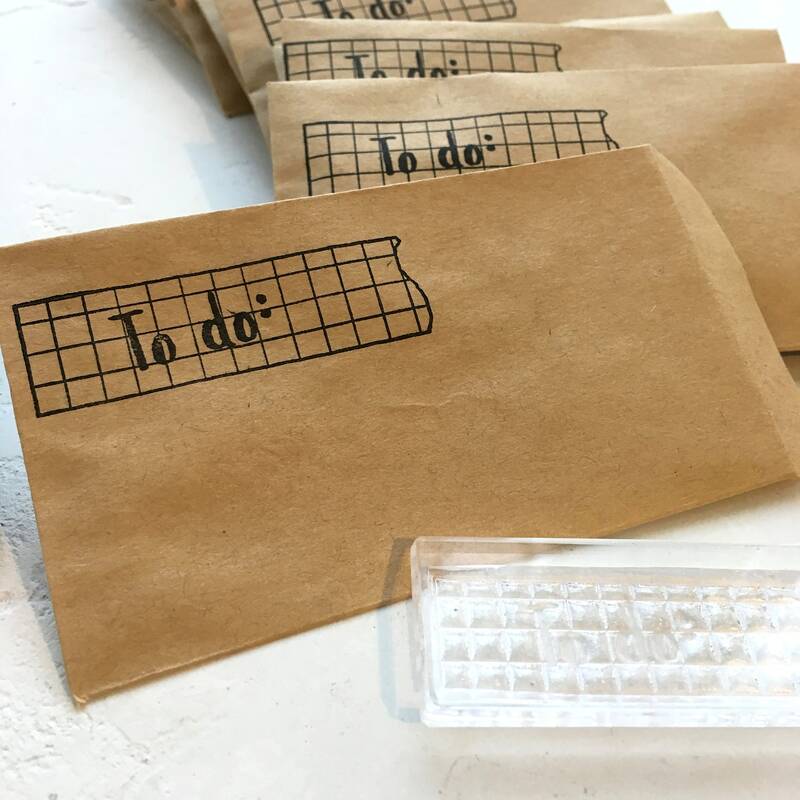 Clear stamps can fit in large envelopes for low cost postage and they take up much less room in your craft drawers. Stamps are hand cut from a clear soft plastic, and mounted to a clear block if you choose to include a mount. 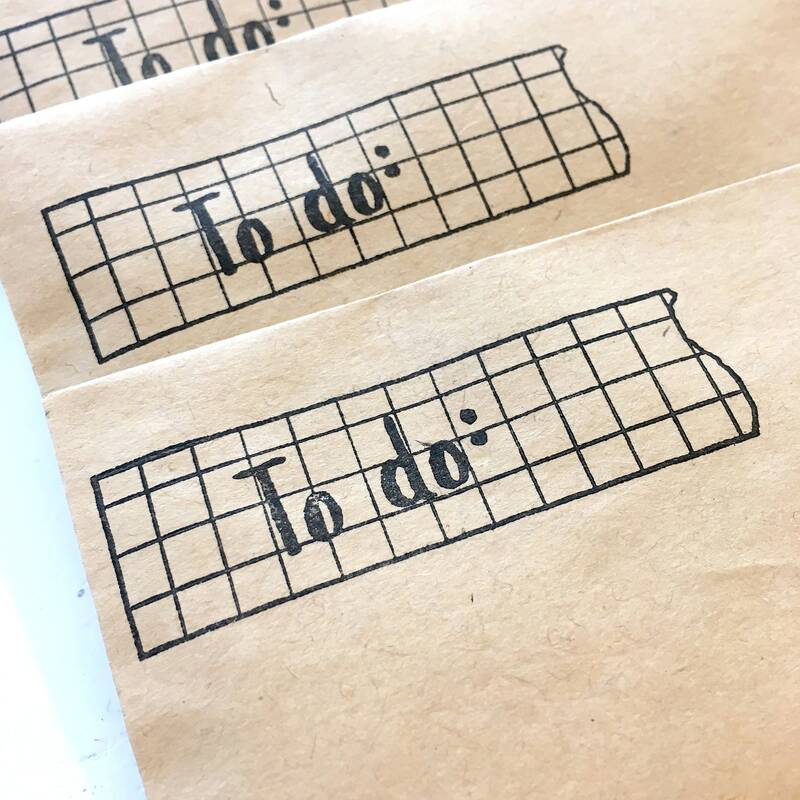 If you'd like a variation on this design, or if you'd like a stamp making in any design at all, please contact me via the 'ask seller a question' button with your request and we can discuss exactly what you're after. 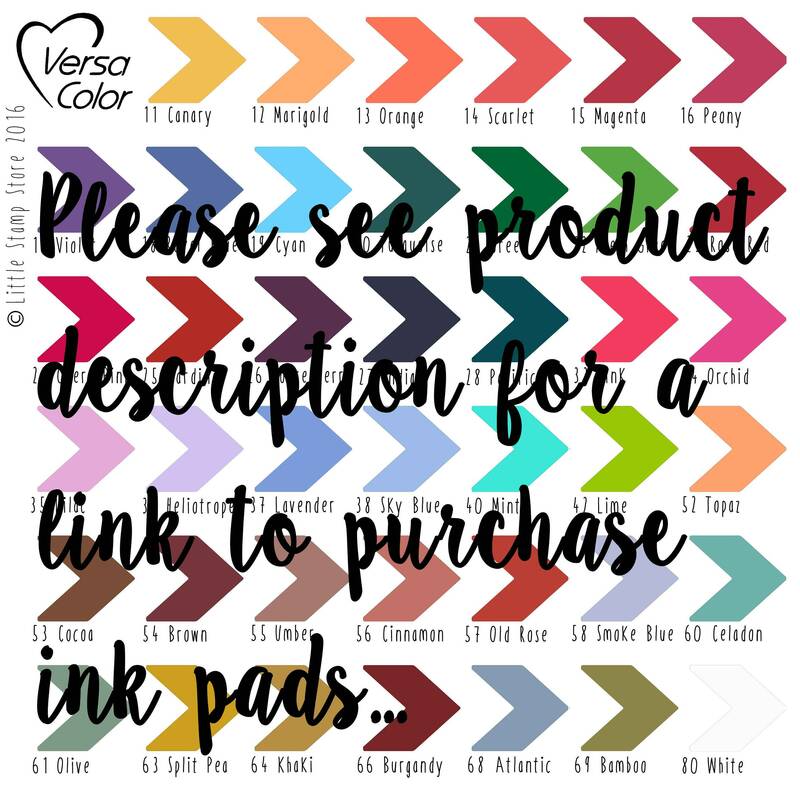 Almost anything is possible – I can make stamps for personal use, business logos, etc. 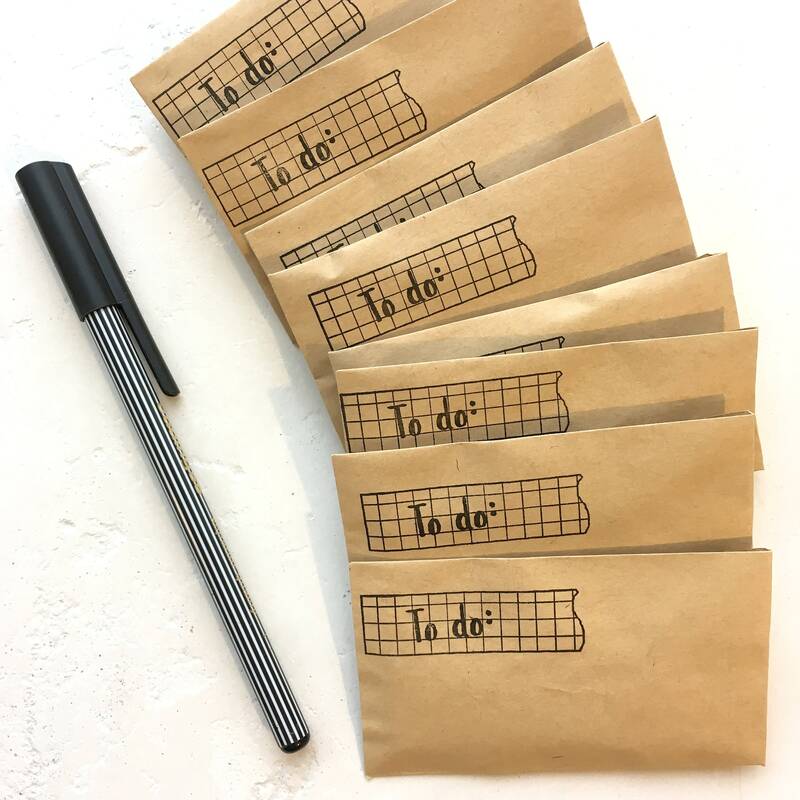 The To Do Washi Tape Clear Rubber Stamp 5.5cm x 1.5cm.